Always good view with our Promowipes! Our new microfiber wipes are not only practical and useful, but also put your advertising message into limelight with a brilliant overall 4-colour-print. Our microfiber photo wipes are an ideal merchandising article, because their constant application possibilities turn them into a real eye-catcher for the consumer. 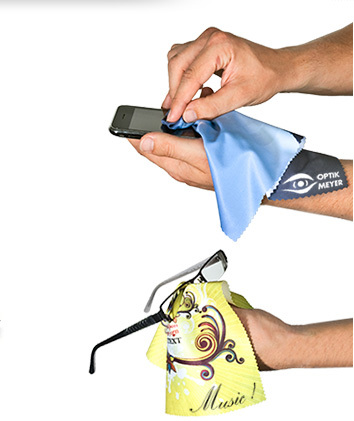 Promowipes can not only be used to clean spectacles, but are also useful to clean mobile phone displays, as well as monitors, flat screens, digital cameras, CD’s or DVD’s. You can see that the Promowipes are useful for wide-spread applications making them an ideal merchandising article.